One in five girls in Wisconsin is currently living in poverty. Approximately 30,000 young women turn 18 each year and become eligible to vote. Girls, more than boys, are reporting spending 3 or more hours on computers and video games for the first time. These are just a few of the findings of the 2018-19 Alverno Report: The Status of Girls in Wisconsin. Founded in 1970, the Research Center for Women and Girls generates and applies research, develops curricula, prepares evaluation tools and conducts outreach for the purpose of supporting and inspiring initiatives to improve the lives of women and girls locally and nationally. The latest report is intended to provide policymakers, organizations and individuals with a comprehensive look at data collected on girls in our state so that it can inform and inspire their work with girls in our communities. 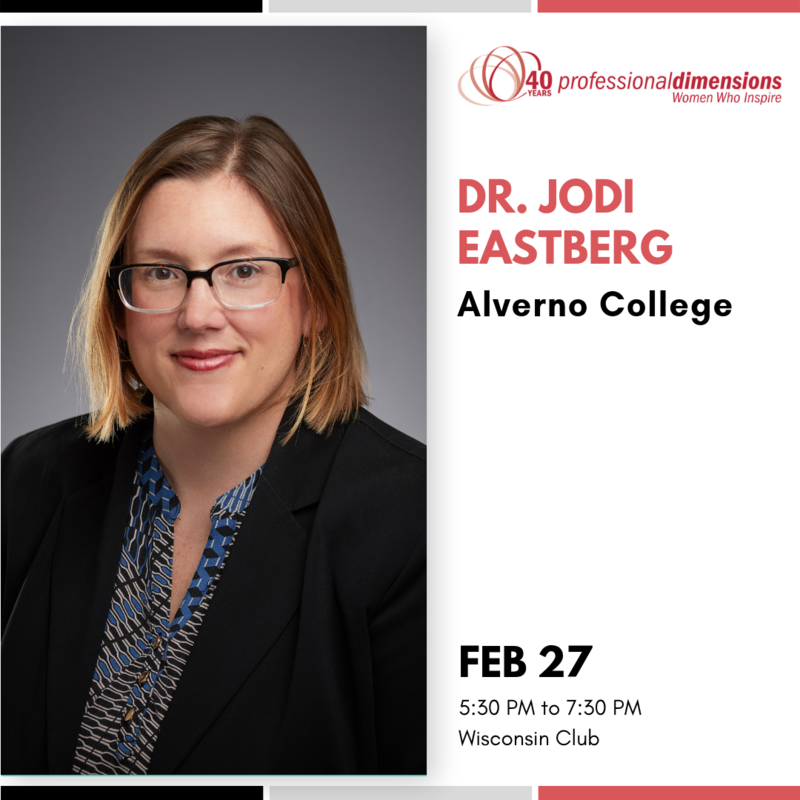 Dr. Jodi Eastberg, Professor of History and the Executive Director of Alverno College's Research Center for Women and Girls (RCWG) will present key findings from the report and engage the audience in discussion of what this means for Milwaukee and our state. She will also discuss Wisconsin's first Girls Summit being hosted at Alverno College by the RCWG on March 23rd. Eastberg received her PhD in history from Marquette University and teaches World History and Women's History at Alverno. She also serves as the Chief Reader Designate for the AP World History exam taken by approximately 300,000 students each year. She is a passionate arts advocate and serves as the Secretary of the Layton Art Collection, Inc., a significant art collection founded in the 19th century by Milwaukeean Frederick Layton that is currently on display at the Milwaukee Art Museum. The Alverno Report: The Status of Girls in Wisconsin will be available for purchase after Eastberg's talk for $15.